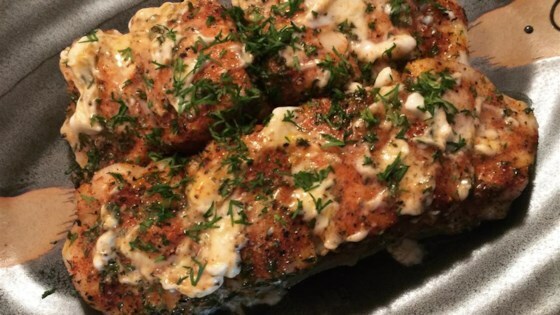 "A super simple broiled grouper fillet recipe for all of you grouper groupies. Fillets 1 inch thick take about 12 to 14 minutes to cook properly. If using thinner fillets, reduce cooking time accordingly." Preheat oven to 350 degrees F (175 degrees C). Combine melted butter and lemon juice in a small bowl. Brush 2 tablespoons of this mixture on a piece of foil placed on the broiler pan. Super simple, super quick recipe for fresh salmon fillets! As someone else mentioned, this recipe is very buttery. Next time I will use about 1/8 of the listed amount. Otherwise I think it would have had a really good flavor. This is so awesome! A no-fail recipe that wows even non fish eaters!